Well it certainly lipo season. Now that the fall is here, it’s a great time to think about having your smart LIPO and laser LIPO procedure performed. I love contouring my patients bodies to achieve excellent aesthetic results. Have you been going to the gym and working hard to lose that stubborn belly or hip fat without any improvement? The Liposuction treatment works great to contour and remove those stubborn areas of fat. And if you maintain a healthy lifestyle and keep going to the gym, those results are permanent. 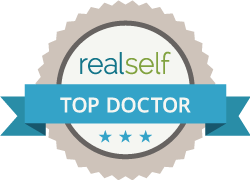 I utilize all the finest laser LIPOsuction technologies with smart lipo , VASER lipo, and Lipowand Liposuction. I welcome the opportunity to offer you my finest surgical care and to make you look and feel great about yourself!